← V. the first idea – Perth. Wei Kurk, one of my buddies, works in the same vicinity as Huiyi. 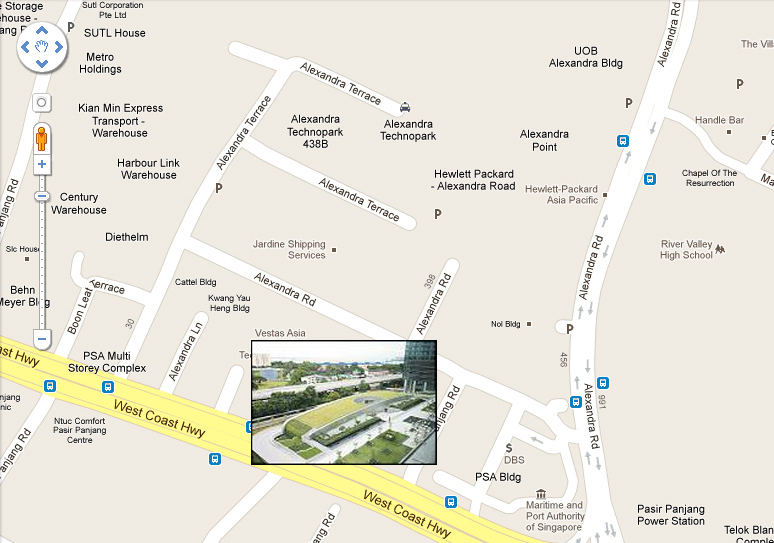 Her office is located in PSA building, at the end of Alexandra Road closer to the entrance of Labrador Park. Kurk told me that he once saw how the sun set in Mapletree Business City (MBC). I was convinced of it and could almost imagine the brilliance. For as long as I live, I will never get sick of admiring God’s magnificence through a sunset and sunrise. I googled “Labrador Park sunset” and “Pasir Panjang sunset” and confirmed that this was indeed a viable venue. (The other places I had considered were Pandan Reservoir, Marina Barrage and that open field behind Blackmore Road.) In that month, I intentionally made regular trips to Huiyi’s office to pick her up after work, but also to check out the sunset environment, and the distance and time taken to walk from her office to the proposal venue, which was around 200-300 metres away. The original plan was to get Huiyi’s closest girlfriends to spring a birthday surprise for her at her office right about the time she knocked off work. (Of course, I would need to involve her colleagues whom I barely knew, but was confident that they would be more than willing to help.) Everyone in the office would create a ruckus and tell her that her girlfriends are about to whisk her away for a girls’ night out. Then they would lead her to the proposal venue – a tiny man-made knoll (pictured above) in the centre of the MBC atrium, where she would (please indulge me) hear the sound of the soulful-stirring voice of her fiance-to-be, serenading her from a distance away, singing the song that he courted her with. And as she walks up the little green hill, I’d be there waiting, drawing her in with my melodious music… And as I finish the song, (by then, a small crowd of white-collared executives would have gathered to check out what was going on,) I’d leave my microphone stand like a rock star, put down my guitar in style, and get down on one knee (and melt the hearts of all the women in our line of sight) to ask that status-changing question. Yes, I was fully convinced of this absolutely brilliant plan! There was no way I could fail! Next chapter: the first group of people involved. Posted on July 21, 2011, in A Walk To Remember, Picture Perfect and tagged Alexandra Road, Blackmore Road, Fong Wei Kurk, Labrador Park, Lee Huiyi, Mapletree Business City, Marina Barrage, Pandan Reservoir, Pasir Panjang, PSA Building. Bookmark the permalink. 3 Comments. Hahaha the most cheesy one yet, but I’m enjoying the series a lot!